A San Francisco jury has found in favor of a school groundskeeper dying of cancer whose lawyers argued that a weed killer made by the agribusiness giant Monsanto likely caused his disease. In its decision on Friday, the jury awarded the plaintiff, Dewayne Johnson, nearly $290 million in damages. Johnson's lawsuit against Monsanto was the first case to go to trial in a string of legal complaints alleging the glyphosate-based herbicide Roundup causes non-Hodgkin's lymphoma. Johnson sprayed Roundup and another Monsanto product, Ranger Pro, as part of his job as a pest control manager at a San Francisco Bay Area school district, his attorneys have said. He developed a bad rash and was diagnosed with lymphoma in 2014 when he was 42. Johnson, who is now 46, did not answer calls requesting comment on the verdict. 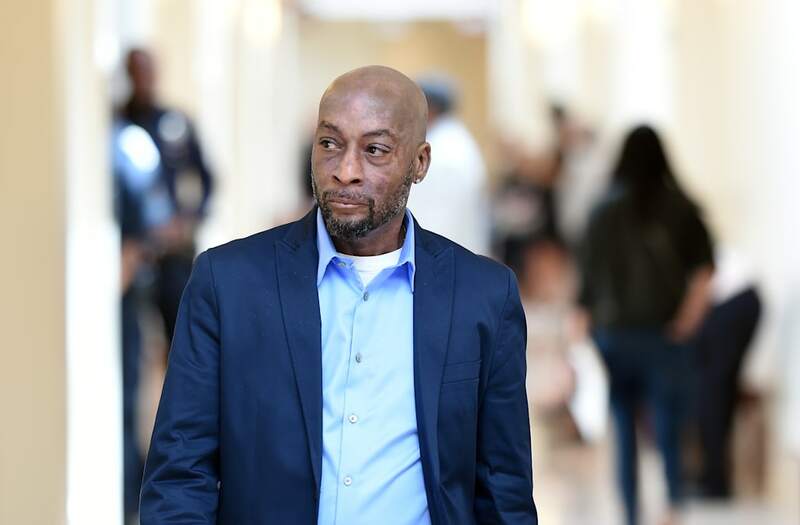 The jurors at San Francisco's Superior Court of California, who deliberated for nearly three days, found that Monsanto failed to warn Johnson and other consumers about the risks posed by its weed-killing products. They awarded Johnson some $250 million in punitive damages and $33 million in compensatory damages. "The jury found Monsanto acted with malice and oppression because they knew what they were doing was wrong and doing it with reckless disregard for human life," said Robert F. Kennedy Jr., a member of Johnson's legal team, according to the Associated Press. "This should send a strong message to the boardroom of Monsanto." Monsanto, for its part, vehemently denies a link between glyphosate and cancer, frequently pointing to studies that have found the active ingredient in Roundup is safe. "We are sympathetic to Mr. Johnson and his family," Monsanto vice president Scott Partridge said in a statement after the verdict. He claimed there were "800 studies and reviews" that "support the fact that glyphosate does not cause cancer, and did not cause Mr. Johnson's cancer." Glyphosate, however, was classified as a probable human carcinogen three years ago by the International Agency for Research on Cancer, a wing of the World Health Organization. "From a purely scientific point of view I do not think that the judgment makes sense," said Paul Pharoah, professor of cancer epidemiology at the University of Cambridge. "The epidemiological evidence that glycophosphates are associated with an increased risk of lymphoma is very weak." The outcome of the trial will not have a direct affect on the slew of other Roundup-related suits in state and federal courts. But it could serve as a bellwether for other cases in the queue. Monsanto said that it plans to appeal the decision.